Andrew Mayor was born in Manchester and studied at the Royal Academy of Music where he received various prizes. Andrew has performed oratorio and concerts with choral societies and groups around the UK. Appearances include Acis and Galatea with the City of London Sinfonia at St John’s, Smith Square, Sea Symphony in Sherborne Abbey, Carmina Burana and L’Enfance du Christ in the De Montfort Hall, Leicester with the Leicester Philharmonic Choir, Petite Messe Solennelle in Ripon Cathedral, Missa Solemnis in Wells Cathedral, Fauré’s Requiem and A Child of our Time in St James’s, Piccadilly in London, Brahms’ Requiem in Ely and Birmingham Cathedrals, Purcell’s Come ye sons of Art at the Queen Elizabeth Hall, Messiah at the Royal Albert Hall, Verdi’s Requiem in Peterborough Cathedral and the title role in Elijah in several venues, including the Dukes Hall at his alma mater: the Royal Academy of Music. 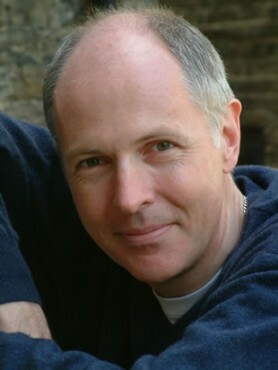 Conductors with whom Andrew has worked in the UK include Sir David Willcocks, Hilary Davan Wetton, Mark Shanahan, Andrew Phillips, Nicholas Kraemer, Christopher Green OBE, Sir Roger Norrington and Ivor Bolton. Rôles in opera in the UK include The Vicar (Albert Herring), Masetto (Don Giovanni) and Ford (Falstaff), for English Touring Opera, Amonasro for Scottish Opera, the Count (Le Nozze di Figaro), Rigoletto, Eugene Onegin and Renato in Un Ballo in Maschera all at the Holland Park Festival, Don Giovanni for Mid Wales Opera, and Starveling (A Midsummer Night’s Dream) in the Linbury Theatre for the Royal Opera House, Covent Garden conducted by Richard Hickox. Internationally Andrew has taken part in a nationwide tour of the USA performing Danilo (Die lustige Witwe) for Columbia Artistsand toured throughout Europe singing Sharpless (Madama Butterfly) and Rigoletto for Compagnia d’Opera Italiana di Milano. One of his auspicious appearances was as the baritone soloist at the Osterfestpiele in Salzburg in performances at the Grosses Festspielhaus of Beethoven’s Choral Fantasia with Maurizio Pollini and the Berlin Philharmonic Orchestra conducted by Claudio Abbado. Andrew has a number of other interests In addition to his singing activities. He is a qualified solicitor, has a CELTA qualification to teach English as a foreign language, and is a member of the British Association of Ski Instructors. Andrew Mayor is represented for opera by Steven Swales and non-exclusively for concert work by Davies Music.